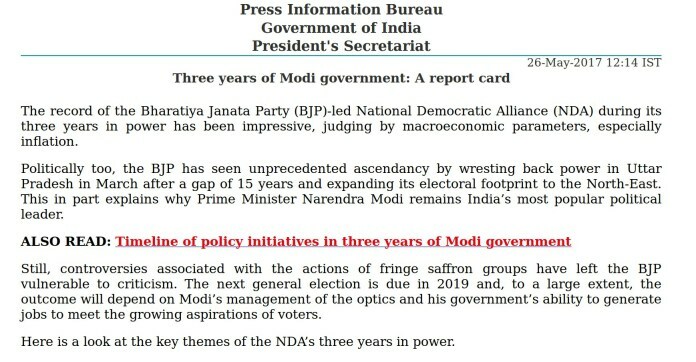 Will the Narendra Modi government ever admit that there are some “negatives” in whatever it has done over the last three years? In a surprise move, the Press Bureau of Information (PIB), operating directly under the Ministry of Information and Broadcasting, in a press note first published negatives along with positives, but finding it too embarrassing removed it from the website. Meanwhile, a site run a well-known software engineer and human rights activist based in Ahmedabad, Pratik Sinha, has dug out that the removed press note is still available in the cache form, which can be accessed HERE. The “negatives” of the press note, surprisingly, are many, and are in equal numbers as the positives. On environmental front these are “neglect of the forest and wildlife sectors”, with “decisions pending on a national forest policy, definition of forests, inviolate forest areas and a national wildlife action plan”, “the government favouring industries and indiscriminately giving green clearances, ignoring the toll taken on the environment”, and “Ganga clean-up yet to gather momentum”. 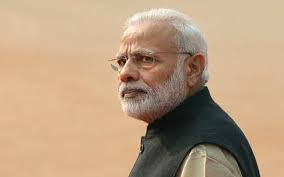 On the political front, the negatives are “rise of vigilante groups called Gau Rakshaks”, “allegations of toppling elected state governments”, and “problems within the NDA partners” in Jammu and Kashmir (People’s Democratic Party, Maharashtra (Shiv Sena) and Andhra Pradesh (Telugu Desam Party). 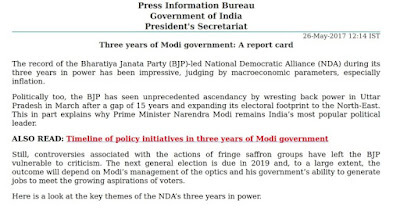 Other negatives include “drop in digital payment transactions with the easing of a cash crunch that followed the demonetisation of high-value banknotes in November”, “leakage of Aadhaar data”, and “increasing number of railway accidents”. Interestingly, many twitter users said the “Report Card” is in fact an article from Livemint. However, a keen investigation has found that the PIB had ‘inadvertently’ uploaded the “Mint” article as an official press release by the President’s secretariat, which the “Financial Express” reproduced and removed, but not before several sites – including a Pakistani – made stories out it. Must give them marks for such an open analysis, as part of genuine introspection. The negative points raised are echoing the views of the people that we hear all the time. thank you for locating and sharing.